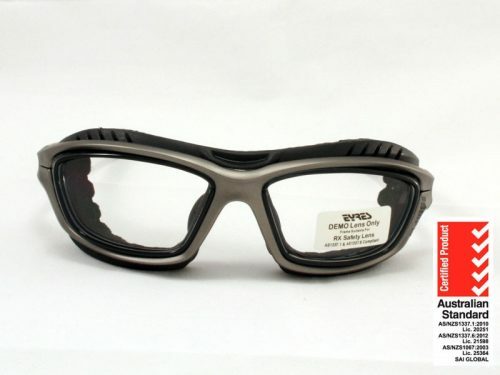 Eyres Razor Evo 702 is a medium sized pair of wrap around safety glasses. It sports a wrap around design and flexible rubber nose pads situated behind the plastic frame for added comfort. 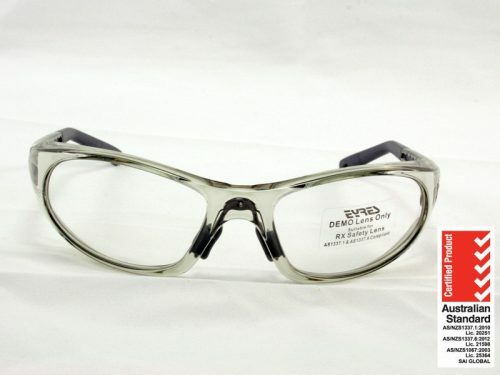 The Eyres Razor Evo is a very stylish pair of wrap around safety glasses prescription. 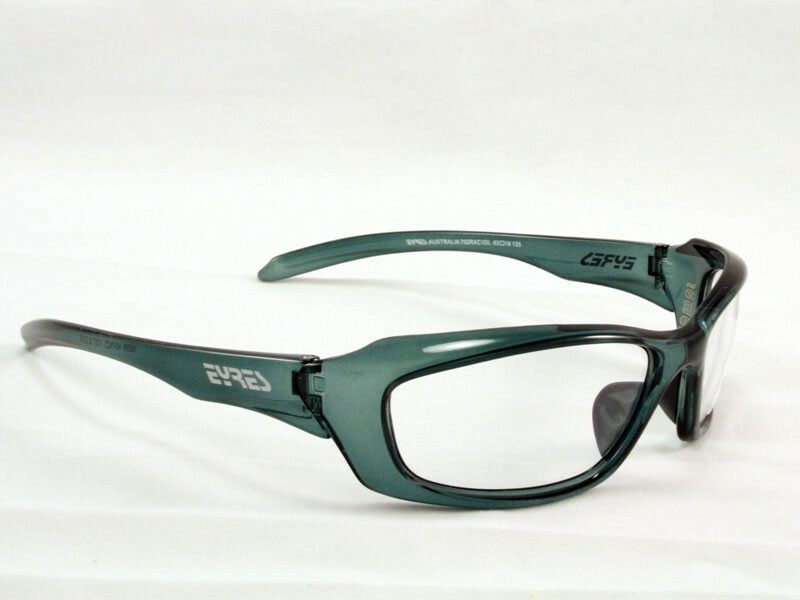 They come with medium impact single vision lenses, safety certification to Australian and International standards. 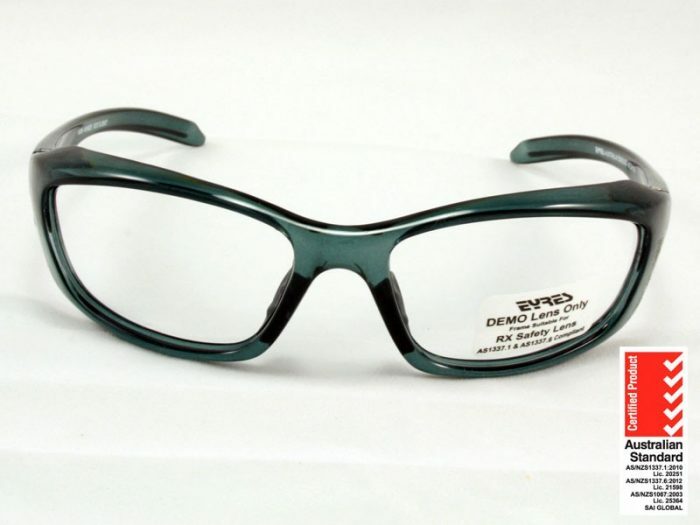 Eyres Razor Evo 702 is a medium sized pair of plastic wrap around safety glasses. It sports a wrap around design and flexible rubber nose pads situated behind the plastic frame for added comfort. With straight temples that curve into the sides of the head, to hold the glasses on you can be assured that the frame will stay on. 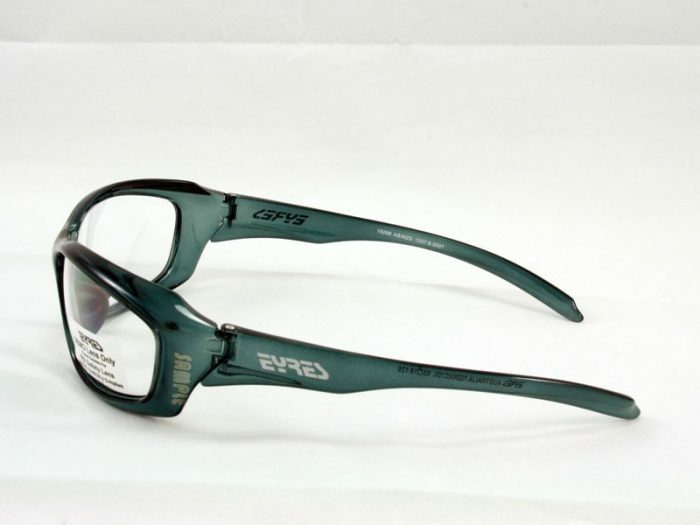 The Razor Evo frame made of polycarbonate predominately, so is light and strong. Which means that they are very comfortable to wear. They are a very stylish pair of safety glasses – more like a pair of sunglasses. They have adjustable rubber coated temple tips and a comfort bridge. 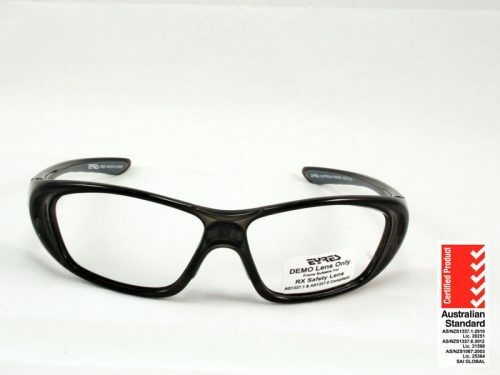 The black coloured frame also has permanent foam padding to increase the dust resistance and ease of wear. 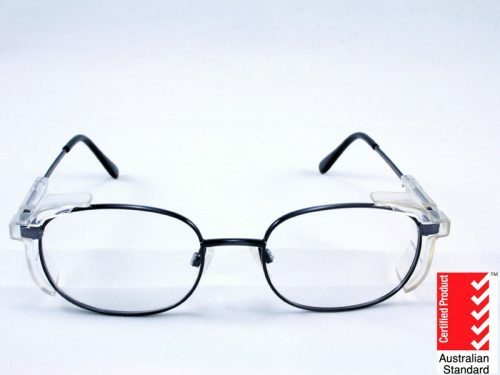 The price listed includes single vision medium impact safety lenses, safety frame, certification and shipping world wide.